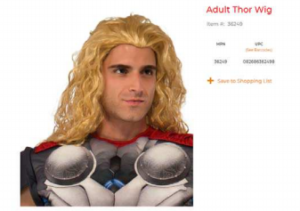 Marvel is looking to do a little trimming on a recent trademark filing. 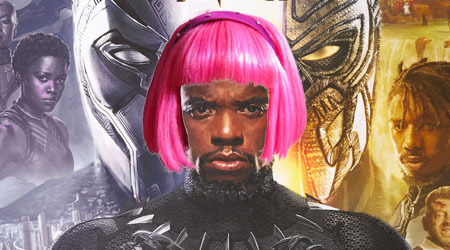 Marvel has opposed an attempt to register the CROWN OF WAKANDA trademark registration for wigs and other hair products saying it is confusingly similar to Black Panther’s home country and Marvel’s trademark, WAKANDA. First rule of thumb for trademark registrations, if you are going to register a mark make sure it isn’t a fictional name of a place already trademarked by one of the biggest companies in the world. In February 2018, the same exact time Black Panther hit the theaters last year, Kyra Faith Wharton filed a trademark registration application for the CROWN OF WAKANDA mark. Perhaps if Ms. Wharton used a lawyer she wouldn’t be in this predicament. Just saying. Wharton filed the mark in four classes (costing $275 per class, so not cheap) that include “wigs, hairpieces and wigs” (yes, wigs twice), clothing, a retail store, and educational services for lectures and seminars. This is an intent to use mark meaning the mark is not yet in use at the time of the filing of the registration but the applicant has a good faith intent to use it in the future. My Google perusing doesn’t show the mark in use yet and that is actually a good thing for Wharton. Chances that the CROWN OF WAKANDA mark gets approved? Put it this way, it is more likely that Avengers: Endgame will make 10 bucks opening weekend. 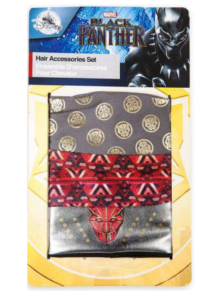 WAKANDA is a totally unique mark that Marvel has branded on all types of merchandise and when you see it, you automatically associate it with Marvel and the Black Panther. Thanos doesn’t need to snap this mark away, the lawyers got it handled.